InterNACHI South Africa is the only association in Africa dedicated solely to the training, education and support of pre-purchase home inspectors. As a result, our home-buying clients enjoy the professionalism that only InterNACHI-certified inspectors can provide! Our members provide inspection services of new homes while they are being built, or of existing homes when you are considering making a purchase. 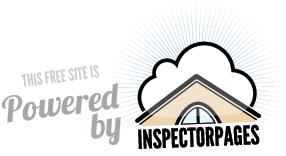 Inspections are designed to identify home system and component defects, and safety hazards. Our members have all successfully completed InterNACHI’s online Inspector Entrance Examination, have successfully completed tests on and abide by InterNACHI’s Standards of Practice and Code of Ethics and must meet stringent Continuing Professional Development requirements. Our mission is to protect home buyers. Our goal is to provide this protection by providing excellent education and training to our members, and by providing information concerning home inspection to the public.